Your search is OVER! Come now to make this spacious and beautiful quad level your new home. This house screams curb appeal with a custom brick mail box to top it off. Featuring beautiful hardwood, ceramic and porcelain tiled floors and recessed lights throughout. There is a main floor bedroom, full bath,and cozy family room that exits out to your concrete patio for back yard fun. Up the stairs to your double door entry, huge master bedroom that features it&apos;s own fireplace, massive walk in closet as well as a bath, that boasts a garden tub, separate shower and double sinks. Prepare to be wow&apos;d when you go down the stairs to your over 9 ft ceiling basement. The ultimate man/woman cave that holds a second kitchen, half bath, fireplace, storage galore as well as a cedar closet. The upgraded roof is less than 4 years old. Your only problem here would be your guests not wanting to leave. 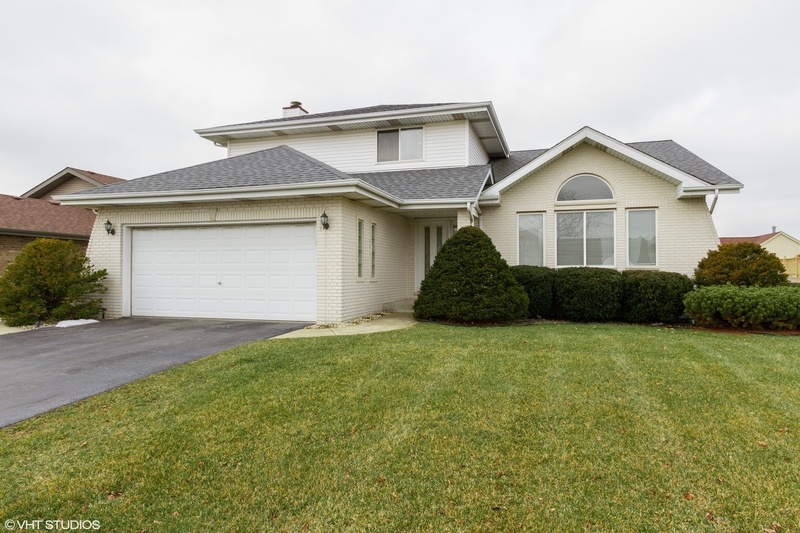 This 1 family owned and meticulously cared for home, can now be yours. Make your appointment now!